After a bracing walk in the “new” Coney Island boardwalk area in March 2013, my fears that the Brooklyn Riviera would be starbucked, mcdonaldsed and condo’d into a comatose state were somewhat allayed. Stalwarts like Cha Cha’s and Shoot The Freak were gone but longtime mainstays like Ruby’s Bar, Lola Star and Paul’s Daughter had been rebuilt, the boardwalk Nathan’s was relocated and the dogs and fries were what I always remembered them to be. The new Luna Park was aburst with happy kids. 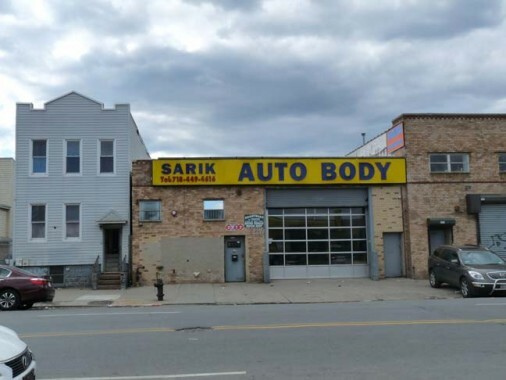 There was still a possibility that Surf Avenue and the side streets would be corporatized and Bloomberged, but I’m not as fearful that will happen now. The museum and sideshow building was still being cleaned after the superstorm. 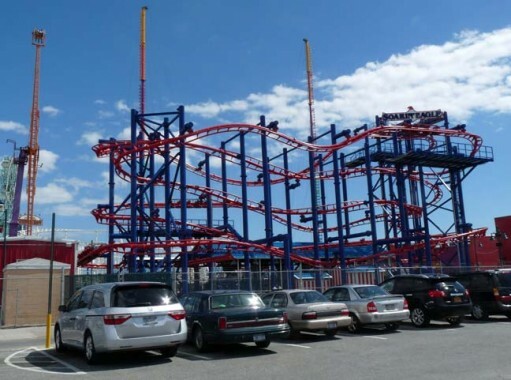 I do wish the Surf Avenue strip could be restored with rides and carny games. 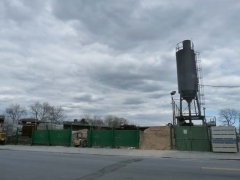 My purpose besides lunch at Nathan’s and a look at the cleaned-up boardwalk area was also to walk north up Stillwell Avenue and contrast the Land of Dreams from the Road of Dreams that leads to it. 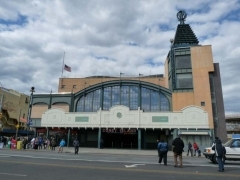 Many roads lead to Coney Island: Ocean Parkway was built as its grand boulevard, Coney Island Avenue once carried trolley lines to it, Shell Road was once paved with gastropod coverings. 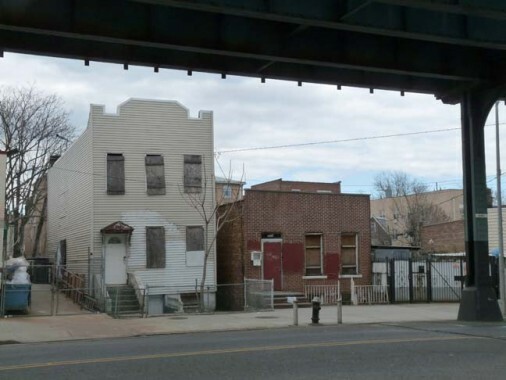 Cropsey Avenue (except for this FNY page) and Stillwell are unsung and unchronicled. 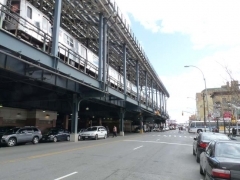 Stillwell Avenue is a four lane road that runs perfectly straight, with no angles at all, from Bay Parkway and Bay Ridge Parkway south to the boardwalk. North of Bath Avenue, it is the barrier between two separate Brooklyn grid schemes: on its west, the numbered avenue and street grid, with no East or West prefixes, of Park Slope, Bensonhurst, Sunset Park and Bay Ridge; and on its east, the vast plains of southern Brooklyn featuring lettered east-west Avenues and longitudinal numbered East and West streets. On the west, streets approach it at angles, while on the east, the avenues meet it perpendicularly. Stillwell Avenue stands where logically, West 14th Street would be. 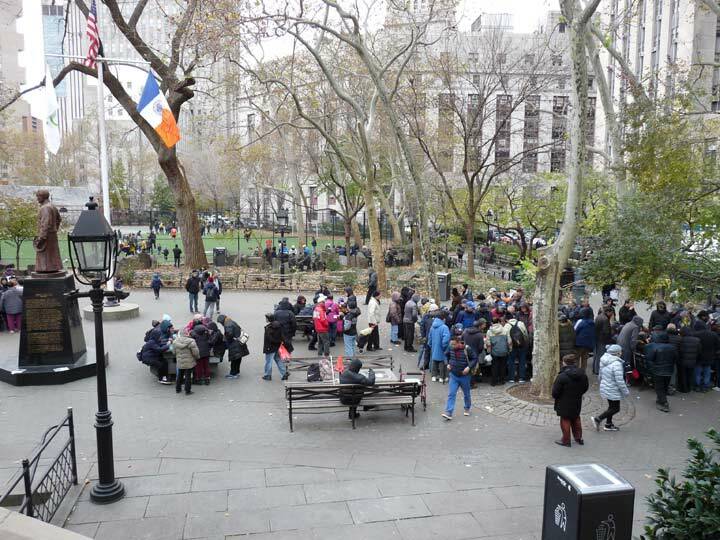 The Stillwell family, from England, fled the Cromwell regime and settled in New Netherland in the late 1600s, finding kindred people with the Dutch already here. Stillwells lived in Gravesend for over two hundred years. 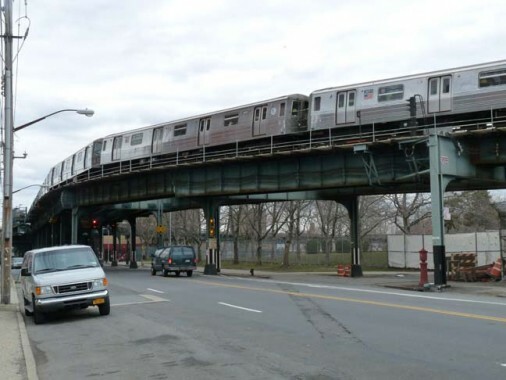 The avenue’s most famous appearance is likely in the French Connection as Gene Hackman’s Popeye Doyle pursues a bad guy on an el train in his car on Stillwell and New Utrecht Avenues under the el. The Soarin’ Eagle Luna Park Scream Zone ride is a mini-roller coaster that replaced the old batting cages (used by Billy Crystal and Bruno Kirby in When Harry Met Sally). 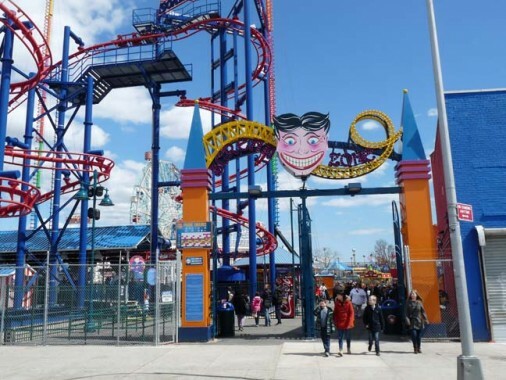 Luna Park is a revival of the older amusement park from Coney’s salad era; it burned down in 1944. The new Luna uses the old Steeplechase Funny Face as a mascot. The Funny One has 44 teeth, 12 more than the normal complement. 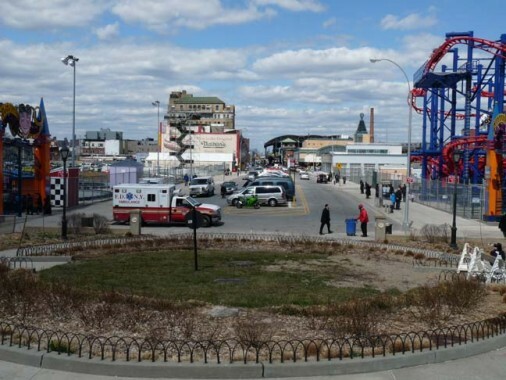 Stillwell Avenue, looking toward Luna Park rides and the Wonder Wheel, Coney Island’s oldest ride. It opened in 1920. 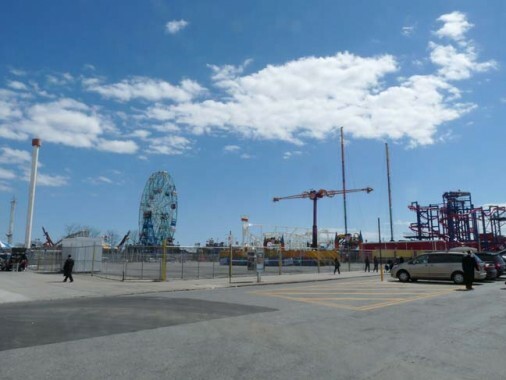 By the mid-20-teens, it will be supplanted as NYC’s tallest Ferris Wheel by a 625-foot-tall wheel on Staten Island. 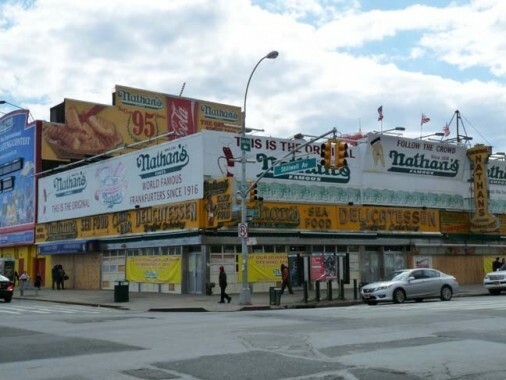 Probably the most famed building on Stillwell Avenue is the original location of Nathan’s famous, which opened here in 1916. Its best sellers are the franks and fries, but a full complement of seafood, including clams and frog legs, can also be purchased here. 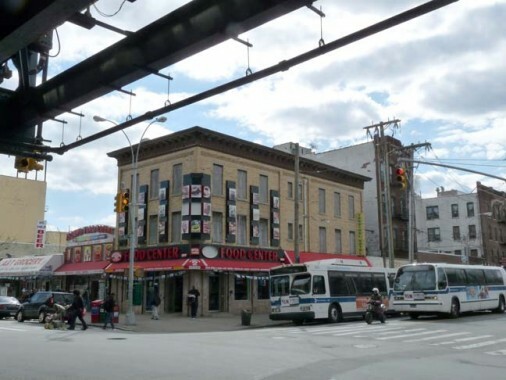 The building suffered extensive damage on October 29, 2012 during Hurricane Sandy, but Nathan’s owners hope to have it rebuilt for the summer season. Its boardwalk entry opened for business as usual in March. 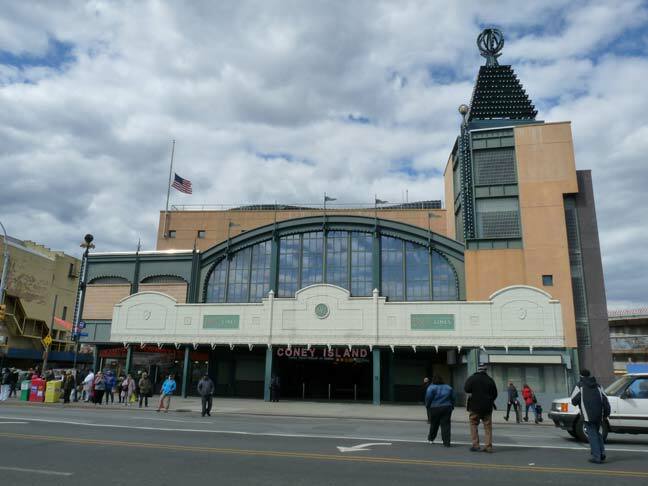 Since 1920 the BMT subway terminal at Stillwell and Surf Avenues, serving the West End, Culver, Brighton and Sea Beach lines (or more prosaically, the D, F, Q and N trains) may have had character, but it was decrepit, outmoded and stank of piss. It was given a complete overhaul from top to bottom from 2001 to 2005, with a slatted roof through which sunlight pours on nice days. Here’s a view of the terminal from the air. Click on the Gallery for a full size view. The further we get from the Land of Dreams, the more aseptic and pedestrian the landscape. Still, there are colorful reminders of the past. This is the old Terminal Hotel at Stillwell and Mermaid Avenue, which degenerated into a flophouse late in the 20th Century, and now serves as a billboard holder. 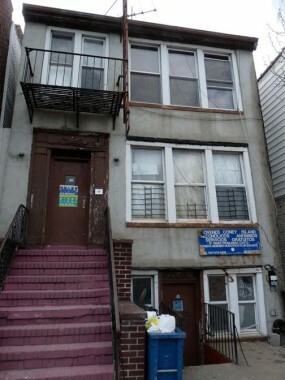 Not the most inviting Alcoholics Anonymous office, on Stillwell south of Neptune. 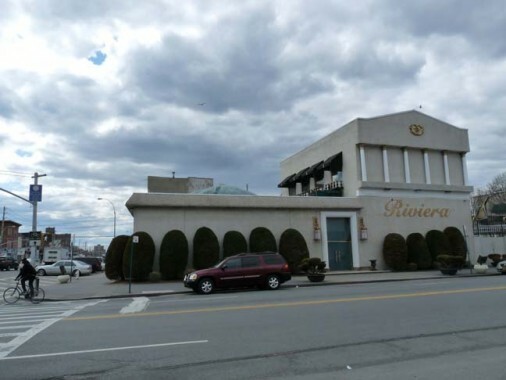 As far back as my memory bank will process, there has always been this humungous behemoth, Riviera Caterers, on Stillwell and Neptune. Its parking garage across the street is almost as large. 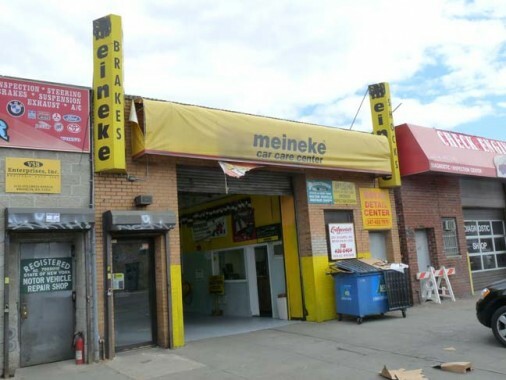 Between Neptune Avenue and Coney Island Creek, Stillwell Avenue, like its brother, Cropsey Avenue, is lined with collision, auto repair shops and tire dealers. Interspersed between them are diminutive dwellings with insulation siding masking their true age, which is likely near to a century. 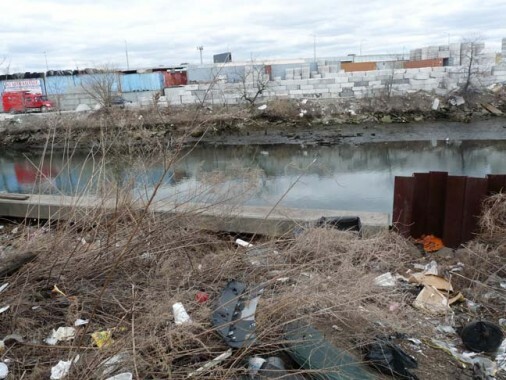 Brooklyn contains many inlets and waterways, such as the noxious Newtown Creek, the gooey Gowanus Canal, and the contaminated Coney Island Creek, which Stillwell Avenue crosses on a rather ordinary steel and concrete fixed span. The creek is also famed for its Yellow Submarine. 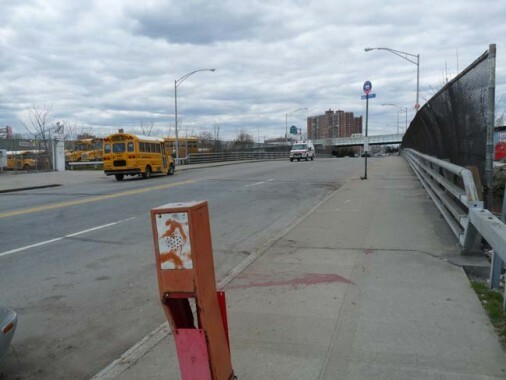 In about 1940, the Belt Parkway was constructed crossing Stillwell Avenue just north of the creek. 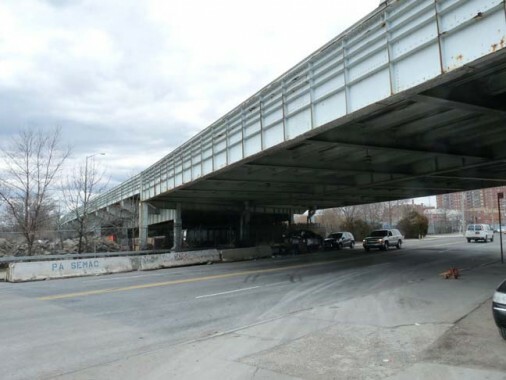 It was originally known as the Circumferential Parkway before this stretch was officially named Shore Parkway. 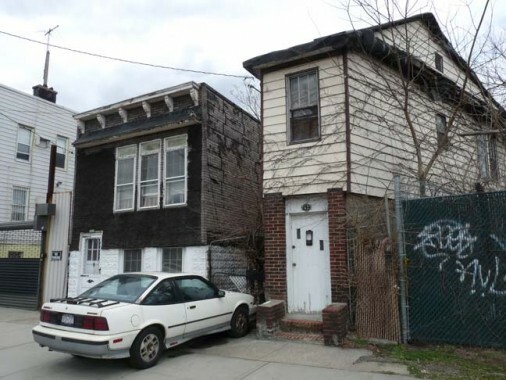 A pair of tiny and aged houses tenaciously cling to the east side of Stillwell just north of the highway. The one on the right is so narrow that it can fit only the front door and a second story window. 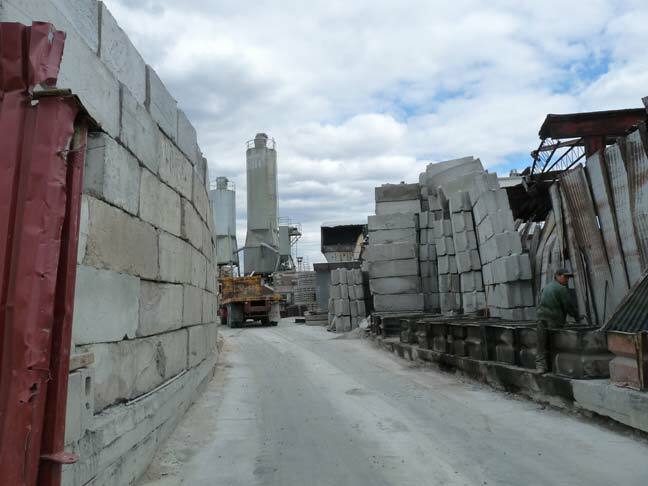 A concrete plant, Stillwell Ready Mix, occupies the east side of Stillwell Avenue, along with a retail hardware store, between the Belt Parkway and Harway Avenue. A pair of its colorfully painted trucks were standing on the avenue. 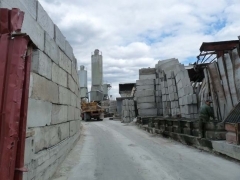 Schwing America, a manufacturer of concrete pumps, must get a few jokes about the name. 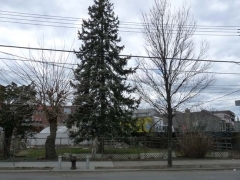 “Dirty, disgusting, filthy, lice-ridden birds.” Stillwell Avenue and Avenue Z.
I’ve encountered the Viola Homing Pigeon Club before, at the west end of Avenue Z at Cropsey Avenue. A rather desultory stretch of the Road of Dreams, between Z and Harway. Once again, small homes huddle against heavy industry. 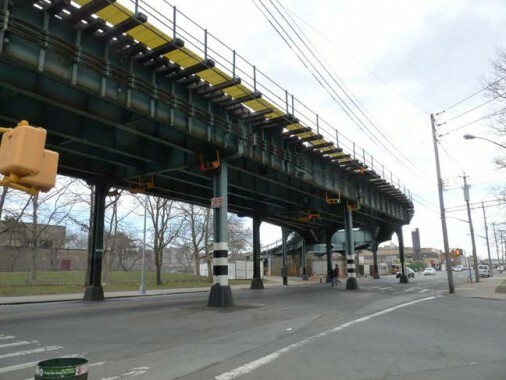 The BMT elevated West End line has traveled over Stillwell Avenue since 1917. 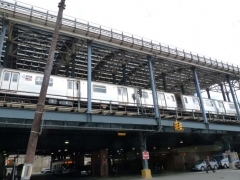 Here it makes a bend into Coney Island Yards before rejoining Stillwell Avenue again at its terminal on Surf Avenue. 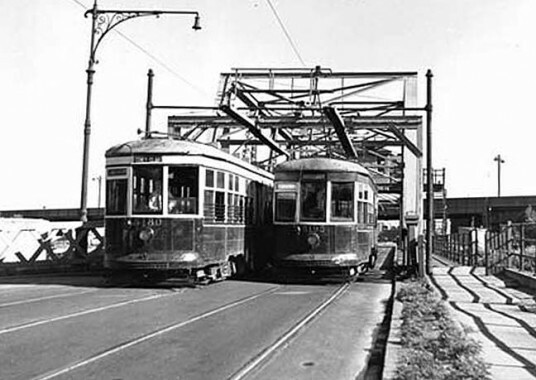 Prior to the el, ther West End ran as a surface steam train for a few decades. 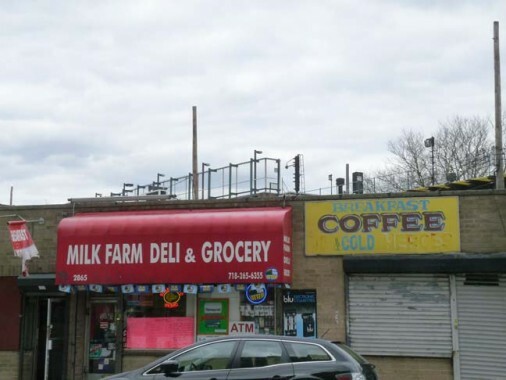 There’s a map mystery–around 1930, Cropsey and Harway Avenues mysteriously switched identities. After that year, Cropsey became Harway where the two roads meet at 24th Avenue, and Harway became Cropsey. In 2013, times remain tough and money remains tight. Therefore, a proper bus stop sign and schedule couldn’t be produced, and chalk and spray paint were substituted. 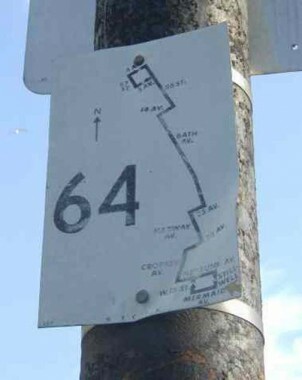 Further north, a 1960s route map has stubbornly remained in place. 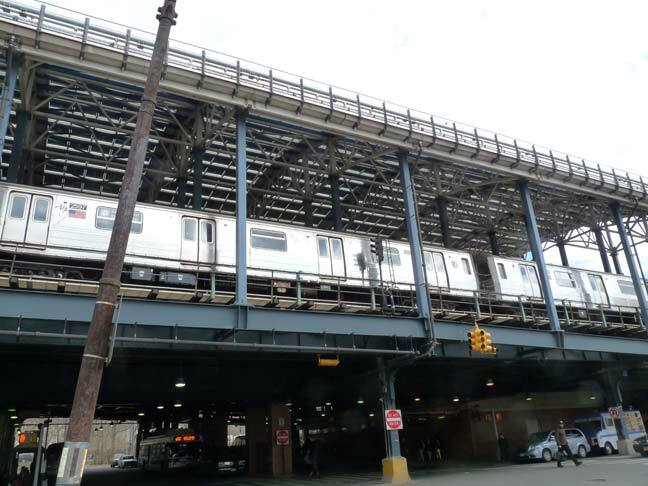 Ater a couple of years’ absence, the #64 was re-extended to Coney Island in 2012. On Harway Avenue, I spotted a hand painted awning sign. 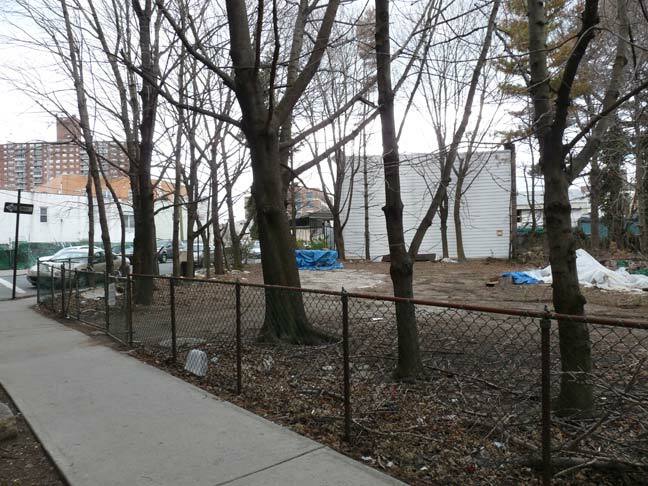 The triangular plots at Bay 49th and Bay 47th at Stillwell are empty, and they appear to have been for some time. I don’t know if anything has ever been built there. 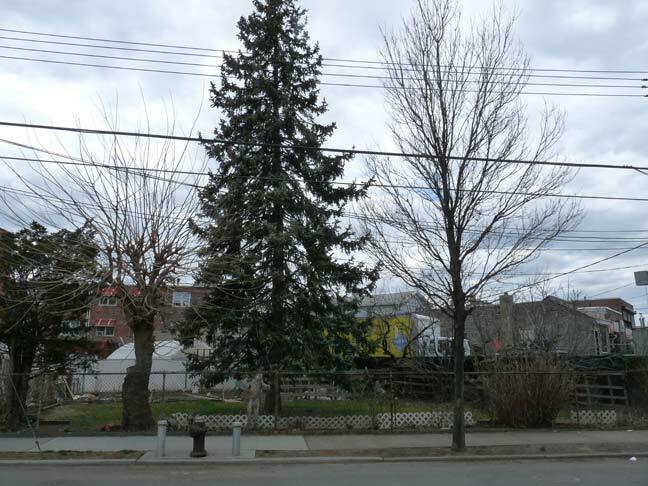 The Bay 47th plot has a conifer tree, an unusual street tree in Brooklyn. One last pair of derelict houses opposite Bay 47th. 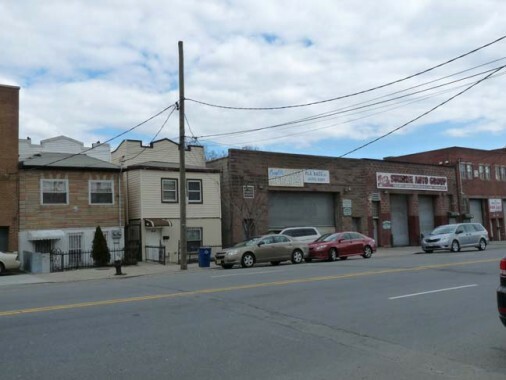 On the west side of Stillwell you’ll find a rather large lawn care and gardening store. Since I was questioned about taking a photo of the establishment, I’ll forgo the free publicity they would have gotten by my placing a photo of it in this space. 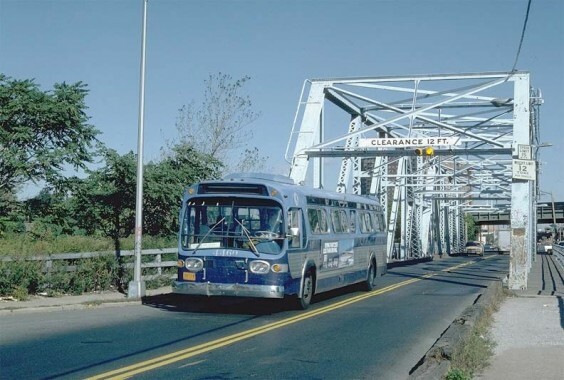 The B64 returned to it’s former route along Harway Ave – Stillwell Ave to Coney Island last year. I was ahead of you after looking at an MTA map this AM and adjusted the text. You have a duplicate picture in the “Triangular Lots” section…. Stillwell Avenue on film: “The French Connection” is truly a masterpiece, & in my opinion, is second only to “The Godfather”. That Viola pigeon club was the subject of an obscure but fascinating documentary about the club & it’s members. I saw it several years ago on the equally obscure DOC cable channel (267 on DirecTV satelite). It’s worth watching if you can find it (YouTube?). Worked at the Great Bear Auto @ 2715 Stillwell in 1979, picking up parts and doing oil changes. The backyard was right up against the creek, every now and then would see fish jumping out of the water. After I left that job I took a break from Nathan’s dogs for awhile as that was the lunch of choice most of the week. Good times…. So, Kevin. Are you the concierge? Did you forget to mention the New York City aquarium located in Coney Island? Thanks for posting this. I was researching my Stillwell ancestors when I came across your website. My direct ancestor died in Gravesend c 1715. His son (my direct ancestor) left the area abt 1698 for the then wild frontier of New Jersey. I was not aware of Stillwell Ave and really enjoyed your pictures and comments. Wouldn’t the ancestors be surprised (and perhaps somewhat saddened?). Thanks again. I too am a desendant of the Stillwells, my mothers mother was as Stillwell all from Gravesend Brooklyn. I was just doing some reaserch my self. 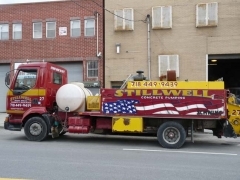 My mother always pointed out Stillwell Ave everytime we passed by it saying it was named for our family. 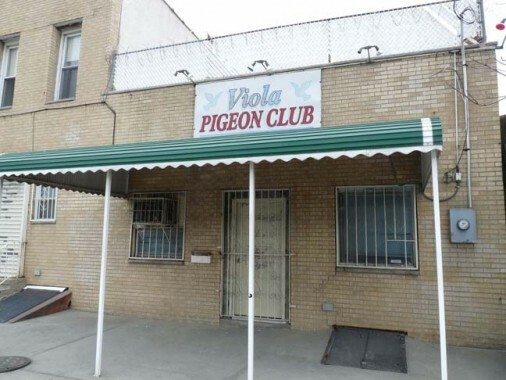 Viola Pigeon club is on Stillwell Ave n Z not Crospy Ave. If u walked down Crospy you would have passed Pathmark,- Home Depot etc. Crospy is a 4 lane avenue that is west of Stillwell. I appreciate seeing this because we arrived late from California and missed it in daylight. thank you. I am descendant of Capt. Richard Stillwell and Abigail Hopkin. ms fiedler I grew up on polar st. between 1957-1969. i always wondered why was that area was isolated from seagate. Dolores did you know Ernie Bartoline and his family? I have a picture of my cousin Rich, myself, and one of the Bartoline kids on that boat holding a box of snappers (young bluefish), taken in August 1950. I was 5. We were staying for the summer in one of the bungalows where some of the public housing now stands. Nicholas Stillwell (1603-1671) and Ann Van Dyke are my 11th great grandparents. Don’t know where Nicholas is buried. As for Ann Van Dyke, she is buried in Gravesend Cemetery! Is there any Stillwell family members here. Would love to hear from you. 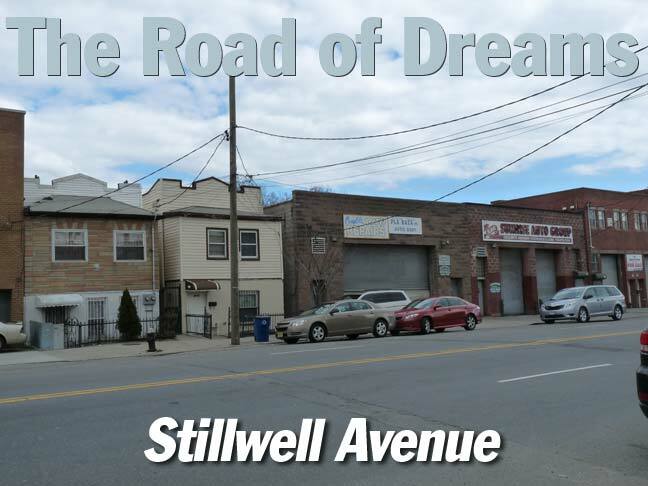 I have the Stillwell Ave on my Facebook pic. Captain James Stillwell of Gravesend is my Grandmother’s Great Great Grandfather. He owned the Shore House at Unionville. I would love to have more information about my family.